High end makeup can cost an arm or a leg, especially if you're only a student or yet to be fully employed, working girl. Still, if you crave a pretty thing now and then, it's totally fine and you should be 100% happy with your newly picked makeup product at such a high price. Here's where I come around with my high end experiences - giving you some high end suggestions that are totally worth your hard earned money. I've only included categories in which I most certainly trust in - I have yet to discover perfect high end foundations or bronzers that are worth that extra splurge. Let's start with basics, brushes are definitely the best category to invest in some extra money. Good quality brushes will last for ages or a lifetime if you're maintaining them carefully and properly. Sigma is still my number one brush brand to relay upon as their brushes never disappoint with quality and high performance. I've been owning their Essential Kit (160$) for years now and my brushes are still spotless and beautiful as the first day. Extravaganza Face Kit 18K Gold (119,70$, quick look here) is a luxury version of normal Sigma sets but totally worth the investment on a long run. Still, I think beginners would be probably totally satisfied with their SigmaTech Essential Brush Set (122$, review here) as it's pretty affordable yet has the needed essential brushes for everyday. 3DHD line is perfect for effortless buffing of your liquid foundation and no wonder 3DHD Kabuki (24$) is crowned as Best Brush for 2015. I also recommend buying Sigma brushes when there's a special event or deal to get more out of your money. Monthly codes for 10% off (for October is SIGMAPINK) are also always updated. If we continue with base products, Clarins Instant Concealer (around 25€, Clarins counters) is an essential you won't regret. Generous amount of 15ml will last you for months with regular use. Formula offers medium coverage while the texture is so refined you can easily cover your under eye circles or larger areas with imperfections. No wonder it's a European classic and a serious Nars Radiant Creamy Concealer competitor with a lighter coverage. It comes in 4 different shades with different undertones to cover and revive tired eyes. Number 01 matches even the lightest skintypes. Ah yes, the unbeatable and cult classic Guerlain Meteorites (around 50€, Guerlain counters). For some time, before even testing them out, Meteorites was just a pretty little collection of rainbow pearls for face. Trying them out, I've converted into a true Meteorites fan with rainbow pearl madness. It's true, classic Meteorites cost an arm and a leg together at about 50€ but rainbow pearls will probably last you for years at 25g amount. I'm no where near finishing my Meteorites even though they already updated their design and reformulated the product. It gives a glorious but subtle illuminating finish but also manages to prolong your foundation wear. It's a perfect fit for dry skin that looks dull and needs uplifting colour correction. On the other hand, Meteorites Compact (about 50€, Guerlain counters, review here) is definitely suitable for all skintypes as it manages to perfect skin texture and delicately mattifies for an airbrushed effect. They both are 100% worth the splurge, though Compact has only 7g which could be a huge downfall, and they both smell like violets. Basically, if you're rich or price doesn't matter to you, Compact Meteorites is the best powder on the beauty market. While original Meteorites have the best value for money and they're pretty illuminating and perfecting as well. Packaging is a huge factor to notice a high end brand. While I utterly enjoy the luxurious packaging of YSL or Guerlain, Benefit (about 35€ a piece, Asos) is really good at concept ideas and unique shades of blushers. Benefit is the only blush brand with several shades in my blush collection. They look cute, every blush has a different scent and they perform with excellence. My favourites are Rockateur and Coralista but enjoy every single colour on it's own. I also owned Sugarbomb and Hoola but they weren't the best choice for my fair skintype. I admit, they are pretty addictive once you start collecting them. Coralista, Dandelion, Bella Bamba were reviewed here and Rockateur here. I have only one single eyeshadow brand to mention. Burberry is hands down, the one and only when it comes to single eyeshadows. The texture of Burberry Eyeshadow (about 31€, FeelUnique) is perfectly buttery, highly pigmented with diverse colour range. All shades are unique and gorgeous for enhancing natural beauty of your eyes. I'm more than happy with my Pale Barley as it's a one of a kind camel shade with distinct, subtle shimmer. Worth every cent. More in depth review is here. Keep in mind that their quad eyeshadows supposedly don't have the same quality. Palette selection is much more wider in high end department. I have two brands to point out that are not necessarily high end brand but their palettes do come to around 50-58€ a piece, which is a lot if we put the total value of their eyeshadows on the side. My two total winners are Too Faced Chocolate Bar (57,90€, BeautyBay) palettes, they are absolutely superb despite funky design and concept. Shades are buttery smooth, highly pigmented and they smell like legit vanilla cocoa. An array of neutrals is just perfect and they both have a selection of mattes, shimmers and glitter shades. Semi Sweet Chocolate Bar is a more warm toned mix while original Chocolate Bar is heavy on burgundy shades and classic brown mattes. This will not come as a surprise, but I also adore my Urban Decay Naked palettes (31,51€ for Naked Basics & 52€ for Naked palettes, FeelUnique). 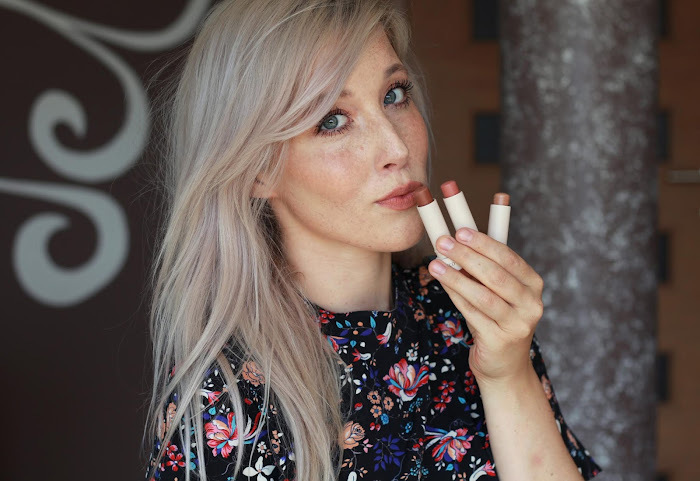 Naked, Naked 2, Naked 3 are an absolute must have. Naked Basics and Naked2 Basics, complimentary mattes, are also much more handy as you would thought in the first place. First and original Naked is full of basic bronze, matte browns and smokey shades. Quality and pigmentation is the best in the original. Naked 2 is on the other hand much more cooler, complex and unique. Naked 3 is a rose gold twist with an array of pinks, golds and coppers. Due to flattering hues, it's my favourite out of the bunch, but keep in mind that it has some sparkly shades with fallout. Naked Basics in particular has a mix of most useful matte shades, while Naked2 Basics has less intense mattes for shadow blending. It's hard for me to pick out only one high end brand of lipsticks as I strive to try as many different brands as possible. But I had to point out my current favourite high end lipstick brand, it's probably Dior. Their textures and formulas are unbeatable and truly unique to the market. They are usually in the front line when it comes to new formulas and inventions. A solid pick are Dior Fluid Sticks (35€, Dior counters & online) and always intriguing, multitasking Cheek & Lip Tint (37€, Dior counters & online). Dior Addict (36€, Dior counters & online) and Addict Extreme (32€, Dior counters & online) also have a pleasant, comfortable texture with wide shade selection. Rouge Dior (36€, Dior counters & online) is a classic pick for a bolder shade and fully opaque color. My personal colour favourite is 786 Mysterious Mauve (review here), a unique buildable purple with blue sheen. Dior colour selection is out of this world and I'm pretty sure you'll find a perfect formula and shade at their counter. Hope this post was helpful to you in any way. I'm especially pleased with Guerlain powders as they make all the difference to your face, while Clarins Instant Concealer is a pretty sweet deal at 15ml. 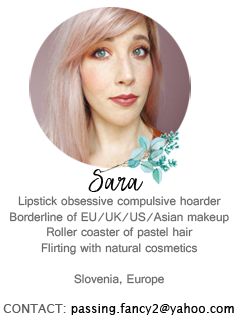 Urban Decay and Too Faced palettes are already classics that shouldn't be missed out and they are all a good value for your money. Sigma brushes won't disappoint and will last a lifetime with good care. Not to be mistaken, these are not my only high end bits but rather products that are truly worth the extra mention. Who knows, maybe I'll do part 2 if this post turns out to be a successful one. Love your choices. I am a big fan of the Sigma brushes. Love your picks of everything especially the palettes. The too faced palette is one of my favorites and I think it's so worth the money. Oh, dear Lord... <3 Naked kolekcijo imam sicer skoraj isto (razen Naked2), vse ostalo ti pa pridem pokrast... hehe. In kdaj si kupila Semi Sweet?! A sem zgrešila kakšno oceno na blogu ali še pride? In pa hvala za 'oceno' Clarins korektorja, si ga bom najbrž kar morala omislit... Tale Guerlian kompaktni puder se ti res zdi vreden 50€? Semi Sweet že imam dolgo ampak sem jo imela samo v objavi New In. Mogoče bo še prišla. Za Guerlain sem popravila, kroglice so vsekakor vredne, medtem ko je kompaktni še 50x boljši ampak ima le 1/3 vsebine. Če ima katera preveč denarja, je vsekakor najboljši puder na trgu. Ga pa sama ne bi takrat nikakor kupila če ne bi bil polovično znižan. Rabim swatche od Semi Sweet!!! :D Hehe... Kje pa si jo kupila? Kje pa bi dobila tale kompaktni puder? Ker sem nekaj gledala na Feelunique, pa je samo nek nov na voljo, ki izgleda kot mozaik (pisani delčki)... A Clarins korektor se dobi pri nas? I only hear amazing things about the Clarins concealer, it definitely sounds like something I would love! Rabiš Pale Barley....ali pa vsaj MAC Patino. Meteoritke bi sprobala, pa se skoz nazaj držim. Vem, da bi mi zdžale forever, ampak moram najprej vsaj dva pudra v kamnu ki ju ne maram porabit preden si jih privoščim. Jaz bi tud mela tok high-end stvari *cries*, pa vedno tok cajta cincam za vsako stvar, da si nikoli ne privoščim. Benefit je zelo težko dobiti, na spletu skoraj nemogoče. Razen kakšen Ebay ali v IT Sephori. Mislim, da mi je Ana zadnjič rekla, da imajo Benefit na Asos?